The all instrumental stoner-post rock band from the mountains in Switzerland are back with their new CD. It was a long wait, almost 4 years since their debut came out in March 2003. Yes... the band has evolved for sure. This was recorded over a couple of weeks when the band secluded themselves at a cabin up in the mountains. The sound and the vibe of the CD are really great. The band has become a bit more melodic, dreamy and less stoned than before. The opening track Xub is a great number that highlights where the band are heading on this record. Really nice building track and a great way that the keyboards (used a lot now as compared to the first release) work really well. A bit of Tool influence on this one. The CD has only 6 songs in 51 minutes so you have quite long journeys. Last Moulinao is next and is a track that slowly sneaks up on you and teases you and you think it is going to explode and it doesn't but it maintains a cool tension. This leads straight into Driver. Driver is quite similar to the opening track in many ways but in addition to the keyboards some spacey synths are layered in. Jack is where the real trips begin as these last 3 tracks are 9, 13½ and 9½ minutes long. Jack is the most stoned and spacey track on the CD. Je et Bikkje begins very spaced out and slowly builds up to where the mid section reminds me a lot of TOOL but more stoned. The CD ends with a pretty cool tribute version of Ennino Morricone's Once Upon a Time in the West. The band have moved a bit more into the post rock arena and away from the stoner rock but this is still a great CD. I hope to catch the band live one day. 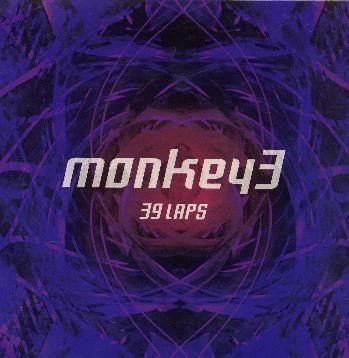 For more information you can visit the Monkey 3 web site at: http://www.monkeythree.com.